How to Set Quota in Lotus Notes? If a user is getting above warnings and errors, then he cannot access his emails and he is required to do something to get his database back. Lotus Domino server provides some configuration settings to manage the size of the mailbox and this is called Quota. A user can set Quota size of his mailbox and set warning threshold. When the file size reaches the threshold then Lotus Notes will show warning message and if the size exceeds the limit of the Quota, then it will show the error. Remove Useless Emails: It is a basic thing a user should do. It is required to delete all the useless emails that are filling the allocated space in the mailbox. Eliminating such emails will free up some space from the database. Save Attachments Locally: If a user is getting an email with heavy attachments then he can download and save them on their hard drive. After that, delete the email along with attachment to free some space. Apply Sent Settings: By default, when the user sends any email, then it gets saved in the Sent folder. You can disable the Sent settings and compact NSF file by automatically eliminate the Sent folder items. Discard Old Data Items: It is advisable to remove old data from the database as there is no use to keep old and useless data in the mailbox. It can free a lot of space in the database. Create Database Archive: If a user has emails that are very important but he cannot access them frequently, then a user can create an archive of the database and keep those emails in that folder. 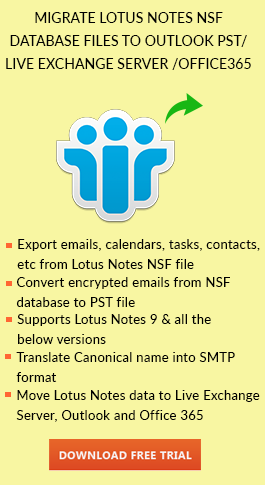 How to Compress Lotus Notes NSF file? Open IBM Lotus Notes. Click on File >> Database >> Properties. Then click on “i” tab. You can see the information regarding the used space of your database. 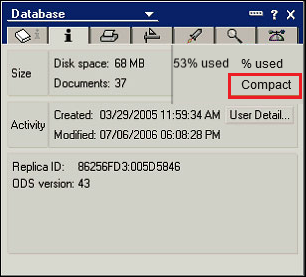 Click on Compact button to reduce the size of Lotus Notes database. How to Compact Mailbox in Domino? Open Domino and click on Server/Programs >> Configuration Folders >> Add Program button. Fill all the relevant details in the Program window. At last, click on Save and Close button to initialize the Program. You can try above manual approaches to compact NSF file. But in extreme conditions, these methods won’t help you. So in that case, you can opt for the automated solution that allows you to manage the size limit of your email database. You can split NSF file to reduce Lotus Notes database by keeping the data safe on your hard drive. After that, you can manage your mailbox easily. In this article, we have discussed possible ways to overcome the issue related to Lotus Notes Database File Size Limit. There are certain approaches you can try to compact NSF file. You can go for the effective solution to compact Lotus Notes NSF file. 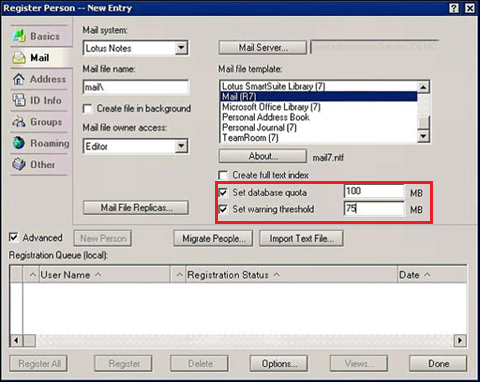 With the help of this solution, you can simply reduce the size of the Lotus Notes mailbox.